Want to print contacts from iPhone but it seems not that easy? Now read this guide to know how to easily print out contact list or only some specific contacts from iPhone 6/6s/5/5s/5c/4s/SE. Download AnyTrans to selectively export the contacts as CSV/VCF (V-card) format on computer so that you can easily print them by using printer. 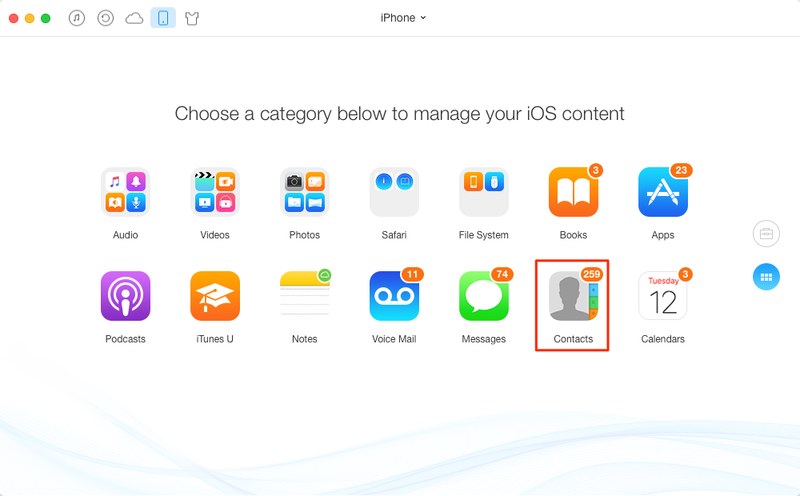 To prevent iPhone contacts loss, it is suggested that you back up contacts via iTunes or iCloud, or directly print contacts from iPhone on paper. 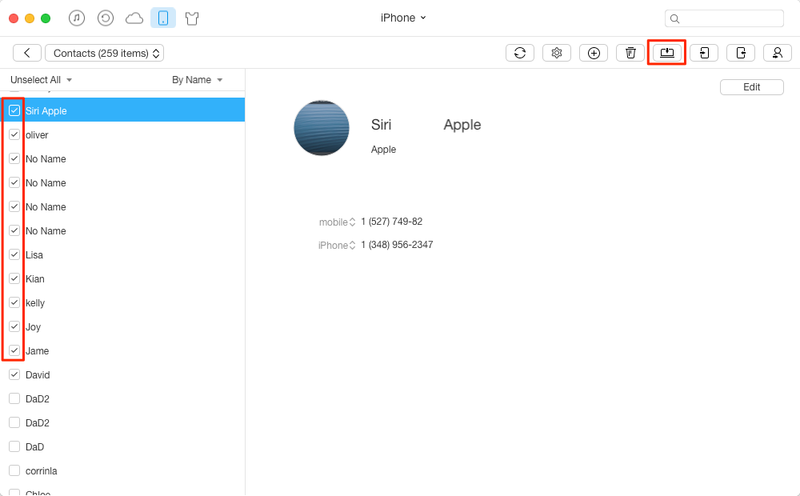 You may know how to use iTunes and iCloud to back up and restore contacts on iPhone, but do you know how to easily print contacts from iPhone? It is may be a good idea to email the contacts and print them from email box. However, this method is only suitable to print a small number of contacts. So in this post, we introduce you another method - use one smart transfer tool to export iPhone contacts from iPhone to computer, save the contacts to CSV or VSF-Card and print them by using printer, no matter how many contacts you want to print. As one professional iPhone contents manager, AnyTrans have helped thousands of people to transfer contacts, music, photos and other data from iPhone to computer. Therefore you can use it to save iPhone contacts as some printable file (VCF and CSV) and then print out your iPhone contact list. Now the latest version of AnyTrans is compatible with iOS 9/8/7/6/5, so it can help you print from iPhone 6/6s/5/5s/5c/4/4s/SE. After downloading AnyTrans and connecting iPhone to Computer with USB cable, you can easily print iPhone contacts by following the steps below. Step 1. Run AnyTrans on your Mac or PC > click "Contacts" category. Step 2. Preview and select contacts > click "To Computer" Button to export contacts to computer. Step 3. Open the exported files and print iPhone contacts by using printer. Note: You can setup the output format and the export location by clicking "Output Setting" button at the first step. If you decided to print iPhone contacts, selectively transferring contacts from iPhone to computer seems a little difficult. But now you can easily make it with AnyTrans by following the guide above. Now Download AnyTrans and Have A Try >.